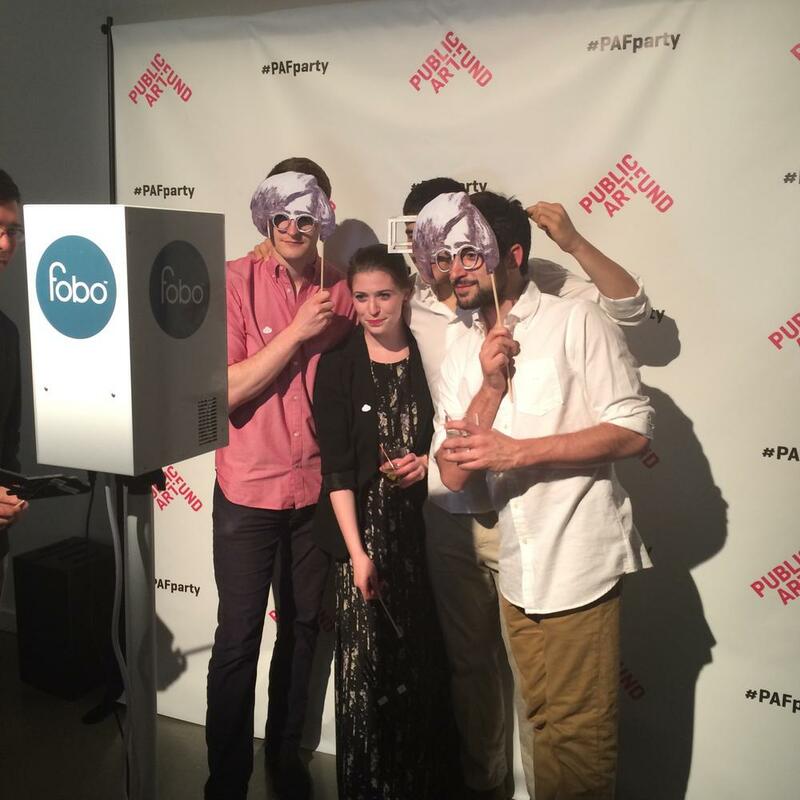 The fobo photo booth was a hit at this year’s Public Art Fund Gala! Fobo is our latest creation, and perhaps the most social photo booth. It shares images directly via text message, and by getting images so easily to guests, they are shared much more widely. And of course, as always, the images looked fantastic. People always want to share a great shot! Great images, instant access via text message, on the spot branded prints and a prompt to share online. Is fobo the most social photo booth ever? The Public Art Fund annual spring fundraising gala is their largest event of the year, an evening of artist’s projects and a silent auction supporting initiatives throughout the year. Public Art Fund brings dynamic contemporary art to a broad audience in New York City by mounting ambitious free exhibitions of international scope and impact that offer the public powerful experiences with art and the urban environment. A great cause that MVS Studio was eager to get behind. And what better environment to debut one of our latest creations! Fobo shot animated GIFs and still shots, which were printed instantly, giving guests a branded takeaway. Public art fund provided some awesome art themed props and the photo booth was busy all night. Instant sharing propelled the event hashtag #PAFParty as everyone shared their GIFs and stills. Go check it out, #PAFParty shots on instagram are still being updated, and there are some wonderful shots from the fobo photo booth and the party at large. Held this year at the Metropolitan Pavilion in Chelsea, the evening was filled with artist projects that got our wheels turning. There was another popular selfie themed art piece by Rafael Lozano Hemmer, a vertically mounted screen that after a few seconds found your eyes and made them burn! 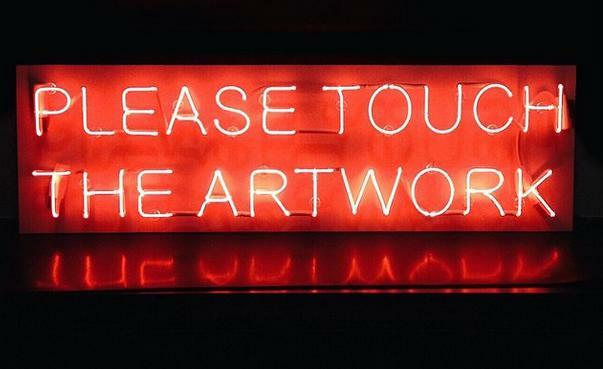 Other peices encouraged audience interactivity, like Jeppe Hein’s neon prompt to “Please Touch The Artwork” and Samuel Borkson and Arturo Sandoval’s hugging cloud. Samuel Borkson and Arturo Sandoval’s hugging cloud. MVS Studio is always improving, and we are always asking ourselves how we can make interactive photography and social sharing even more awesome. This year’s public art fund was both a debut for fobo but also an eye opening experience prompted by some like minded artist projects! 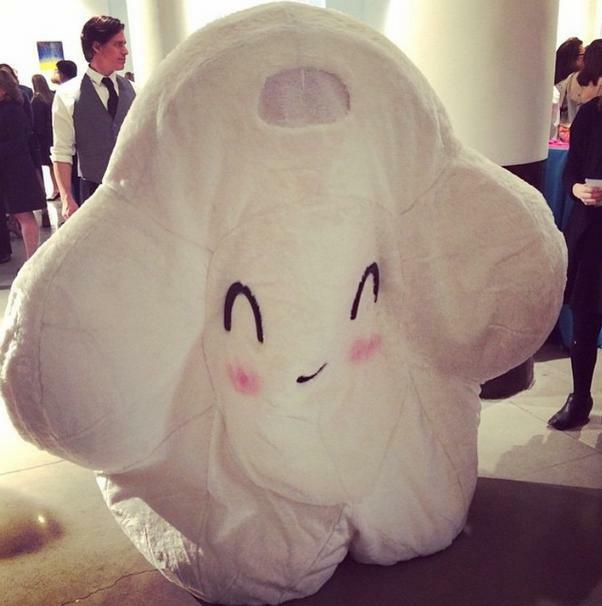 Do you have an event that you want to go social? MVS Studio specialises in delivering what is needed for images to be distributed widely: 1) a great image, 2) an instant, simple, easy way to get images to phones, and a branded prompt. Fill out the form below to find out how we can make it happen for you! Mike Tyson Takes Best Photo Booth Shot Ever?